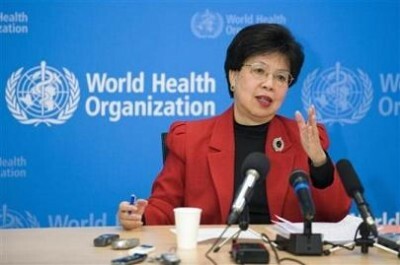 On June 11, 2009 Margaret Chan, the Director-General of the WHO, declared the Swine Flu a pandemic. That’s the highest phase – phase 6. It’s the first worldwide flu pandemic in 41 years. ‘Swine flu will be biggest pandemic ever, warns world health chief’. She also said: ‘Based on past experience, this pandemic will be with us for some months, if not years, to come’. Chan’s June 11th declaration is one that comes with great consequences. The declaration of phase six means that emergency procedures are put into motion which bypass established systems designed to safeguard the public health. The result of this is described in part six of this DeepJournal series on the Swine Flu. Conclusion: the vaccine is being tested while being administered to the public. The definition of what a pandemic is, is therefore of great import. In her June 11th declaration Chan said that she had come to her decision to declare a pandemic because ‘on the basis of available evidence, and these expert assessments of the evidence, the scientific criteria for an influenza pandemic have been met’. What she didn’t say was that the WHO had previously adjusted the criteria for a pandemic downward. In May the headline of a small Reuters article read: ‘WHO rethinks criteria for Phase 6 pandemic flu’. What’s clear is that in 2005 it was still necessary for a new influenza subtype to surface before it could satisfy the criterium for a pandemic. Since May of 2009, it is sufficient for an influenza virus to mutate relative to the original subtype. ‘Under the new meaning, a pandemic does not need to cause high numbers of death or illness’, writes Truthout. ‘A month after changing the definition, with just 144 people dead from H1N1, the flu was given the WHO’s highest threat classification: a “stage-six pandemic alert.” By comparison, the mildest 20th century pandemic killed a million people’. Epidemiologist Tom Jefferson says on Swedish television: ‘What they [WHO] have done, is that they have taken out the part that referred to simultaneous outbreaks, high morbidity – that is a very high number of severe cases – and mortality. So now, this 2009 definition, could very well fit seasonal influenza. So I don’t understand what the difference is anymore. The new definition lowers the threshold. It makes [it into] a pandemic now and possibly a pandemic going on for some time’. Phase six is still in effect to this day . Jefferson goes on to say: ‘And it obviously favours those who have to sell products’. The new classification has implications for the future, for ‘according to the new definition, almost any influenza virus that mutates from the original subtype (a process known as “drift”) would qualify as a pandemic strain if it spread readily from human to human’. The meaning of the term ‘pandemic’ has been considerably deflated by the new criterium. It’s a cosmetic change that in practice is making a big difference. With an influential organization such as the WHO, independence is crucial. It’s therefore justifiable to examine its sources of income. From an extensive article in the weekly Austrian magazine Profil it’s evident that in 1998, the majority of the WHO’s income came from governments. After the WHO entered into ‘partnerships’ in 2004, most of the money came from ‘voluntary contributions’, some of those of course coming from industry. According to last year’sbudget, those contributions amount to 2.3 billion euros, and that amount is about three times as much as what the countries of the UN contribute. Profil: ‘The vaccine producers were invited – naturally – to all of the discussions on the pandemic’. ‘Every year an average of between 200 to 1000 people die from complications of the flu [in The Netherlands]’, reports the Dutch National Institute for Public Health and the Environment. The institute made it known as early as December 24th of 2009 that the Swine Flu epidemic was over. In The Netherlands, no more than 51 people died from it, of whom most were already sick when they contracted the flu. Worldwide the Swine Flu claimed 14,000 lives,according to the WHO. Journalist William Engdahl writes that that number is probably on the high side: ‘The WHO, it turns out, lumps its statistics for flu deaths together with those from pneumonia, a completely separate and far more common illness and a far larger cause of death, in a disease classification it calls “Influenza and Pneumonia (J09-J18).”’ Epidemiologist Tom Jefferson adds to this the subtle distinction that only ‘approximately 7 percent of influenza-like illness cases are caused by influenza viruses’. Margaret Chan said recently: ‘The days when health officials could issue advice, based on the very best medical and scientific data, and expect populations to comply, may be fading’.